Based in Buffalo Grove, Ill., PROFILE Products LLC ("Profile") produces a comprehensive line of products for soil modification, erosion control and plant establishment. Profile's industry-leading products and knowledge resources are housed in three primary businesses. 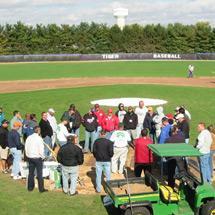 The Turface Athletics™ line of products and services maximize sports field safety and performance. Profile Golf™ products and resources help golf course architects, builders and superintendents find the most effective solutions for both maintenance and construction. Profile Erosion Control Solutions (PECS™) encompasses a wide range of products to prevent erosion and establish vegetation for the golf course, transportation, landfill and commercial and residential markets. For more information, please visit the PROFILE Products web site.